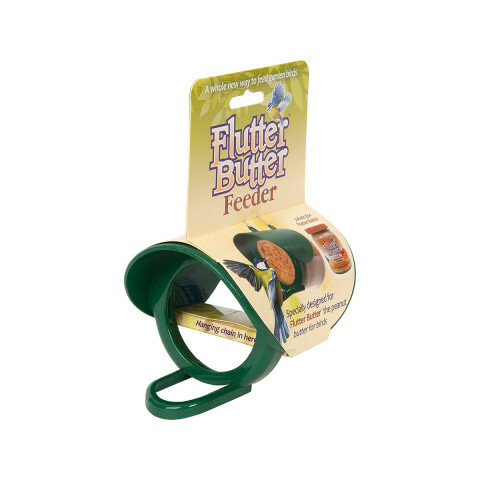 A very smart way of feeding your Flutter Butter. The Flutter Butter pods can be easily installed with a simple twist and the feeder can either be attached on a tree with the supplied bracket or hung with the supplied chain. A perch ring is also included. 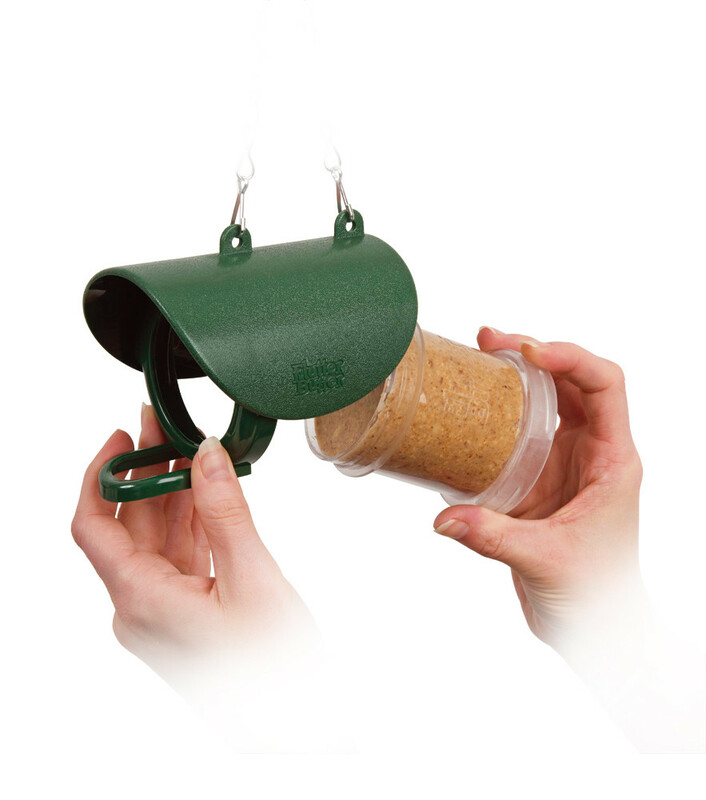 Very popular but it would be good if the manufacturer produced a smaller version that wasn’t so likely to be monopolised by my healthy but very greedy flick of starlings! well made and hopefully successful! 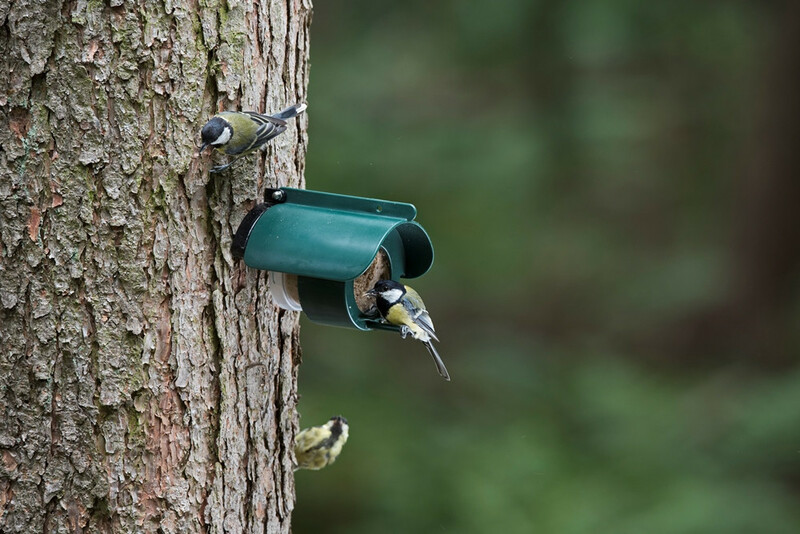 Birds not using it as yet.